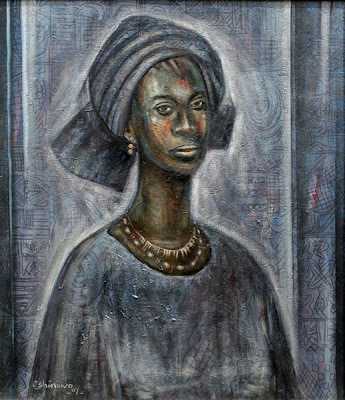 Kolade Oshinowo - perhaps Nigeria's greatest living painter. Website here. Great! Glad I had the opportunity to be taught by him in my Yabatech days! A living legend!